Explore Malaysia by car is one of the best ways to experience and discover this beautiful tropical country. Also known as the easiest ways to see much of the hidden beauty of Malaysia, travel by car allows the visitors to get closer to the country’s bustling cities, amazing laid-back culture and some of the most spectacular natural scenery. One of the best destinations on earth with plenty of things to do and see, Malaysia homes to towering skyscrapers, spectacular beaches, beautiful islands, lush tropical rainforests and a great diversity of rare and exotic floras and faunas. Renting a car to tour around Malaysia is a perfect choice, as it offers you full flexibility for traveling, additionally, you do not need to worry about things like luggage theft or pick pocketing. Although Malaysia has a great public transportation system with diversified of transportation options, renting a car is perfect for traveler who wish to travel flexibly. With a rental car, you are not limited to only visit the touristy cities like Kuala Lumpur, Penang or Melaka, but you can also easily access to the more secluded areas to discover more on the beautiful natural atmosphere. Renting a car is also a great option if you are traveling to Malaysia with your family, especially if you are traveling with elderly or young kids where getting on and off from public transport may become a challenge. Furthermore, you get the chance to visit more places like one that never being included into any tour package by tour agencies. With plenty of car rental companies available in Malaysia, hence, finding a good car rental service should not give you any problems. In Malaysia, you will not find short of both domestic car rental companies as well as the international big players. Nevertheless, it is always a good idea to pre book the rental car in advanced during peak seasons as this is the time when most tourists come to Malaysia for vacation. Most of the car rental companies operate a counter or office near or in the airport area to cater for visitors who are just touch down into the country. If you are running exhausted after a tiring long haul flight, you can also find plenty of car rental agencies in the city area or make an online car rental booking. Depending on the head counts and how you wish to tour around the country, there are great diversities of car options available. 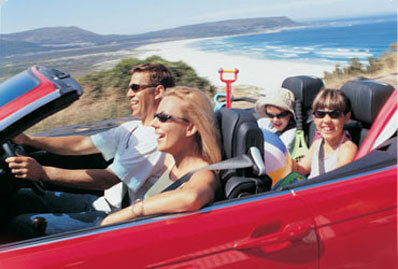 If you are signing into a self drive tour package, you can also request for a car to be bundled into the package. Many hotels in Malaysia also offer car rental services with the car delivered to your hotel directly. Most of the cars can be rented at affordable rate, it is always good to do some research and price comparison before decide to book with any of the car rental companies. Also to ensure that the rental car is covered under insurance to avoid any hassle in case unexpected circumstances happen during your tour in Malaysia.